WENATCHEE — The table is set for a record turnout at Thursday’s sixth-annual Turkey on the Run 12K, 5K and Kids Dash in Wenatchee. Through Sunday, 540 people had registered, compared to 306 a year ago at the same time. About 700 runners and walkers — a record — ended up taking part in last year’s event. 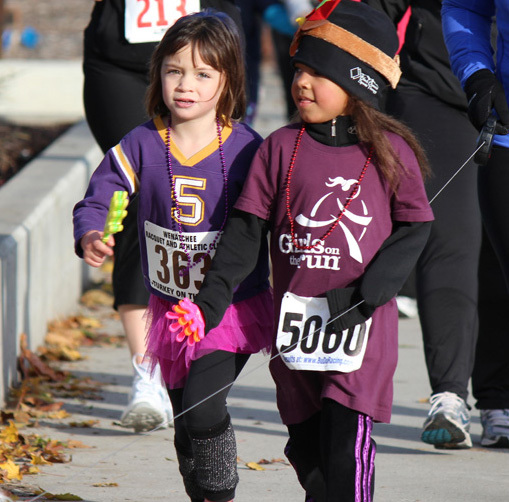 Turkey on the Run attracts adults and kids. Presented by Vista Rehab Therapy of Wenatchee, Turkey on the Run has grown in the past few years to become the city’s second largest outdoor running event. 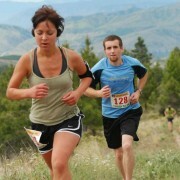 The Wenatchee Marathon and Half Marathon, held in April each year, typically attracts more than 1,400 runners. Turkey on the Run will again benefit the Women’s Resource Center of Wenatchee. All three races begin and end at Wenatchee’s Rotary Park. The Kids Dash, which is free, starts at 8:45 a.m. The 12K and 5K races will begin at 9 a.m. Motorists are being asked to watch for runners and walkers along Western Avenue, Springwater Avenue, Woodward Drive, Fifth Street and Number One Canyon Road. Springwater Avenue (west of Western Avenue) and Woodward Drive will be open to local traffic only. RunWenatchee donates proceeds from the race to the Women’s Resource Center. The race also serves as a food-drive for the center, with participants asked to bring non-perishable food items to Rotary Park the morning of the race. Online registration is available through noon Wednesday at https://wenatcheeturkeyrun.eventbrite.com. People also can register in person at Rotary Park from 7:30 to 8:50 a.m. Thursday, just before the race starts. 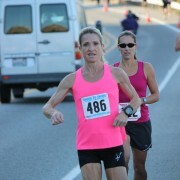 For more info on Turkey on the Run: https://www.runwenatchee.com/event/turkey-on-the-run-2/.